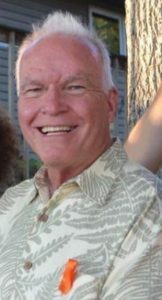 Kent Rosenblum, a pioneer winemaker in the modern California Zinfandel movement, died unexpectedly Wednesday, Sept. 5, from complications after knee replacement surgery. He was 74. “He was still so full of life,” said Shauna Rosenblum, his daughter and business partner. 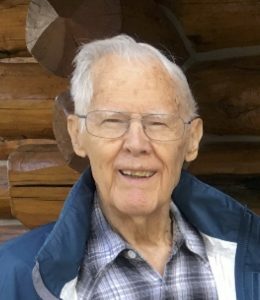 “He was so excited to get back out there — to start skiing again and to get back in the vineyard.” He had undertaken the voluntary knee replacement surgery so that he could continue skiing. In the 1980s, Rosenblum Cellars helped launch a new era for California Zinfandel. 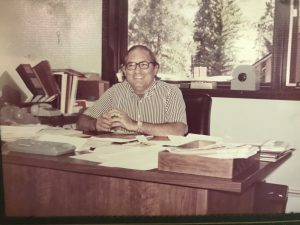 Although Rosenblum Cellars sourced grapes from all over Northern California, its wines were always made in Alameda County, close to where Rosenblum lived and worked as a veterinarian. When he sold his wine brand to the global corporation Diageo in 2008, many assumed that Rosenblum and his wife, Kathy, were ready for retirement. But it was the start of a new chapter for their family: Kent and Shauna Rosenblum launched a new winery, Rock Wall Wine Co., in Alameda. Kent Martin Rosenblum was born in Iowa in 1944 and grew up in Minnesota. Kent Rosenblum met his wife, Kathy, at the University of Minnesota, where he was earning his veterinary degree and she was studying history. They married in 1969 and moved to Alameda two years later. A passionate skier, Rosenblum joined the Berkeley Ski Club. In 1972, just for fun, the group bought a ton of grapes and divvied them up. Everyone made a small amount of wine, but “my dad’s was the only one that was remotely palatable,” Shauna Rosenblum said. The next year, the club tasked him with making all of the wine. The Rosenblums, who had never had wine before moving to California, quickly fell in love with their new hobby. They made wine in their garage, drilling holes in the ceiling so the tanks could fit inside. In 1978, they decided to launch a business, initially using the Dead End Bar in West Oakland as their winery. “Things kept chugging along, but they weren’t making a profit,” Shauna Rosenblum said. 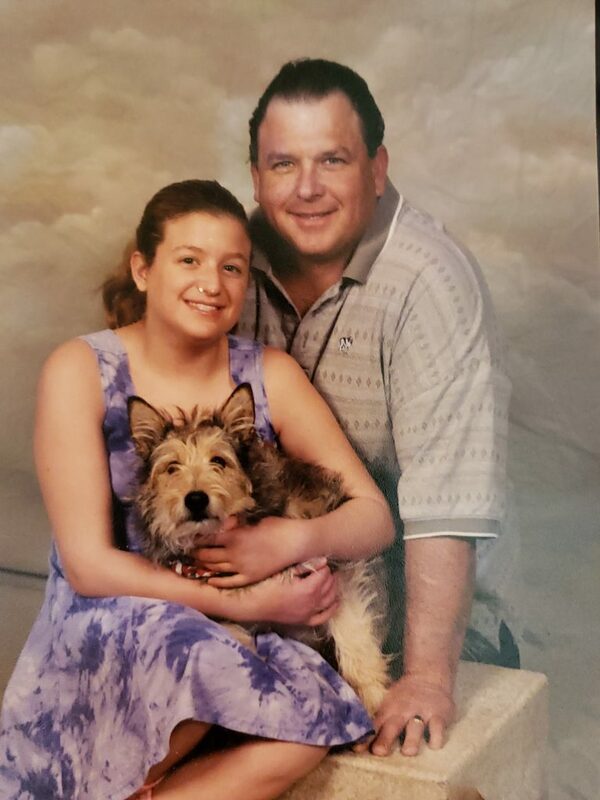 Rosenblum was still working as a full-time veterinarian at Providence Veterinary Hospital in Alameda, where he continued to work through the late 1990s. After Shauna Rosenblum’s birth in 1983, Kathy told her husband that if they weren’t making a profit by the next year, they would have to abandon the winery. But then something unexpected happened. 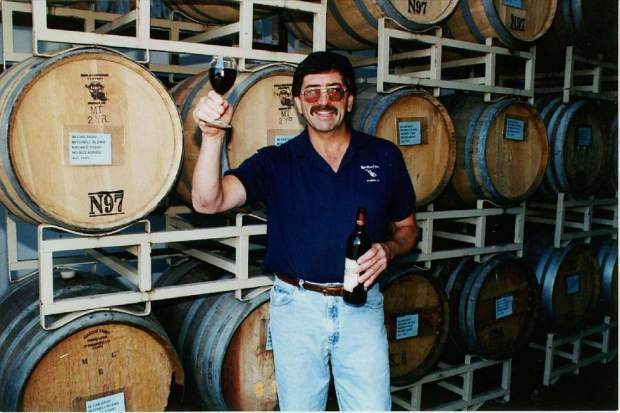 Rosenblum purchased some Zinfandel grapes from George Hendry, a Napa Valley grower, in 1984, and it turned out to be the wine that changed their course forever. It won Best of Show at wine competitions and earned outstanding scores from critics. “That launched them into stardom,” Shauna Rosenblum said. That year, she said, they made a $250,000 profit. From then on, the identity of Rosenblum Cellars was inextricably tied to Zinfandel. The timing was fortunate: Zinfandel was booming, and Rosenblum Cellars’ rich, ripe, unapologetically fruity style was what the people wanted. There was no intention of selling the brand. But when Diageo approached the Rosenblum family in 2008, “they offered them too much money to say no,” Shauna Rosenblum said. It was a bitter loss for her father, but Shauna Rosenblum said he was also excited by the prospect of starting over. “By that point, he’d been doing much less winemaking than he wanted to,” she said. That year, father and daughter started Rock Wall Wine Co. 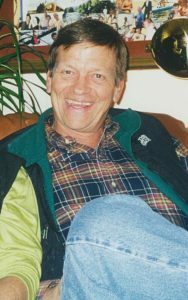 Although Shauna Rosenblum runs the business and the winemaking, Rosenblum remained active in the winery until his death. He had recently taken on a new vineyard site in Sonoma County, Maggie’s Vineyard, and was excited to sell fruit from its 130-year-old Zinfandel vines to winemaker friends this year — including Jeff Cohn, his longtime winemaking partner at Rosenblum Cellars. Rosenblum is survived by his wife, Kathy; daughters, Shauna and Kristen; brother, Roger; sister, Pamela; and granddaughter, Skylar. Kent was very well known since the introduction of the Taste of Vail, participating and representing every year for Rosenblum Wines and now currently Rock Wall Wines. We will be celebrating Kent’s life at the next Taste of Vail on April, 3-6, 2019. In lieu of flowers, people can make donations to FAAS (Friends of Alameda Animal Shelter) and/or send cards to the Roseblum family at Rock Wall Wine Co., 2301 Monarch St., Alameda, CA 94501. 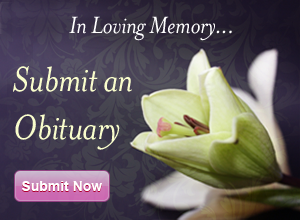 An intimate service will be held for friends and family in San Francisco on Saturday, Oct. 13.